In the later part of the decade, three distinctive tones of green, red and blue appeared on the Crusader, Clipper, Bullet and Meteor Minor models. These strong, striking shades emphasised the elegant contours and modern design of the machines. This red was a favourite for sports models and was mostly used on machines made for the USA with 'Indian' badges. 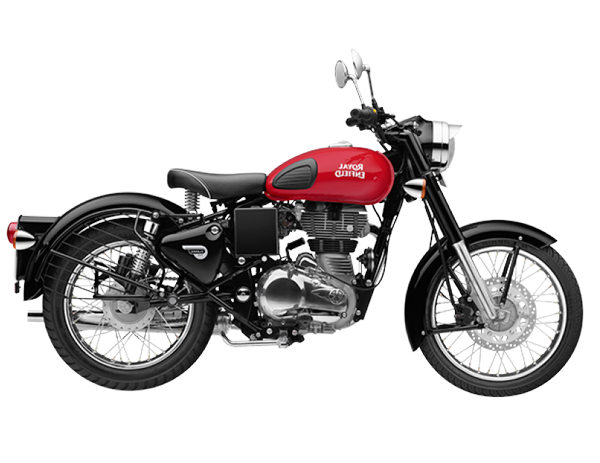 It also featured on the famed 1959 - 1961 Royal Enfield Fury. Other red variants were also introduced at this time. Cherry red was seen on the 500cc Meteor Minor, Prince 2-stroke and 350 Clipper in 1959, Flame was used extensively throughout the range in the early 1960s and Candy Apple red was bestowed upon mid-1960s 736cc Interceptors. 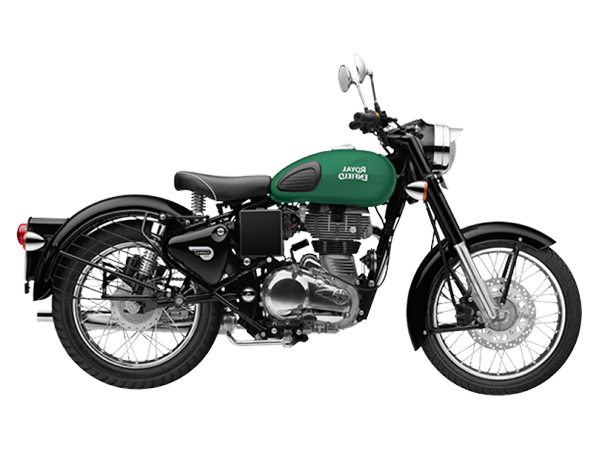 Surf green was a light, milky shade of green first used on 2-stroke 150cc Ensign II and III models then later on the all-new 250cc Crusader when launched in 1957. A darker olive green was seen on the 250cc Clipper when introduced in late 1953, as a budget version of the Bullet. It used the latter's swinging arm frame with a scaled-down, cheaper-to-make cast iron engine, used for many years on the 350cc Model G. A mistake was made ordering paint and the bikes were due to go through production before anyone realised the shortfall. At the eleventh hour, the staff had to rummage through the stores to see what was lying around. They found leftover green paint from the initial order of Bullets shipped to the Indian army in 1952 and used that. It gave a singular look when combined with chrome and polished aluminium but nonetheless proved a success. Wedgewood blue was a distinctive soft tone available as an optional colour scheme for the Crusader, Bullet and Big Twins in 1958. It was replaced by Peacock blue, a much more vibrant, darker colour with a polychromatic finish. Peacock blue extended right through the range of singles and twins. 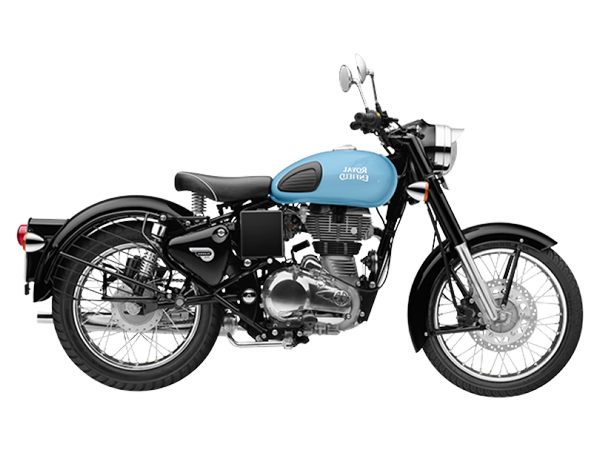 Another variant, Cambridge blue, was used on 350cc unit construction new Bullet models in 1964.